My husband shares a Christmas homily each year. When he was a young child, the birth of Jesus was portrayed as sad and unfortunate. 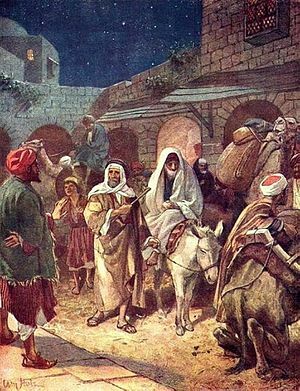 Mary and Joseph had to travel to be taxed; Mary, very pregnant, had to ride a donkey on a long journey; when they arrived in Bethlehem, there was no room in the inn. Ron shares that when he grew up, he realized there were no accidents with God. And so, in the circumstances of Jesus’ birth there was meaning as well. 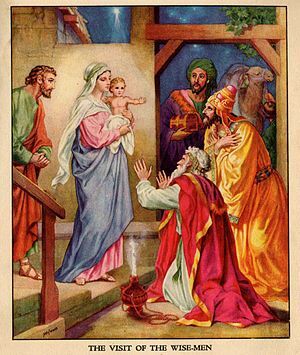 This entry was posted in Advent and tagged Christmas, Nativity of Jesus. Bookmark the permalink. 6 Responses to I love to tell the story! I remember Pastor Ron’s sermon before Christmas thanks for the link.